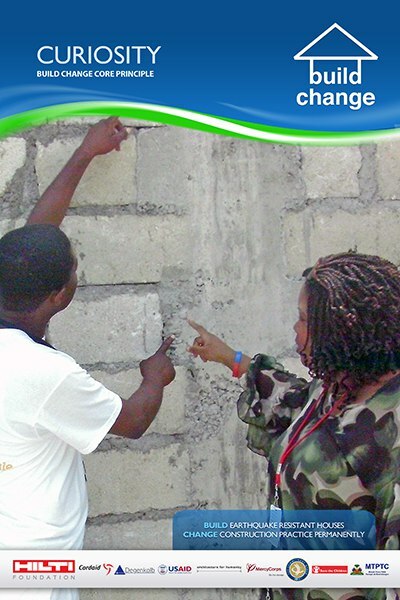 Build Change saves lives in earthquakes and typhoons. Our mission is to greatly reduce deaths, injuries, and economic losses caused by housing and school collapses due to earthquakes and typhoons in emerging nations. Build Change designs disaster-resistant houses and schools in emerging nations and trains builders, homeowners, engineers, and government officials to build them. Build Change leaves in place permanent change in construction practice by building local skills and stimulating local demand. After a major earthquake in a developing country, agencies typically build masses of houses that are not always culturally appropriate and sustainable in the local construction sector. Often, the homeowner is only minimally involved in the decision-making and construction process. The opportunity to build local capacity is often missed, and in many cases, the houses built after the funding and technical assistance cease are not earthquake-resistant. To overcome these challenges, Build Change applies the following principles and strategies. 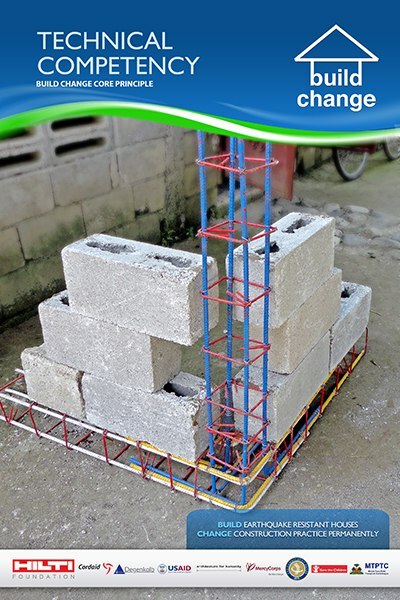 Use detailed housing subsector studies to determine the most cost-effective ways of building earthquake-resistant houses using materials and skills that are available through the local private sector. Empower the homeowners to choose their own layout and materials and manage their own construction with our technical assistance, by providing a range of solutions appropriate for different income levels, family size, culture, and climate. 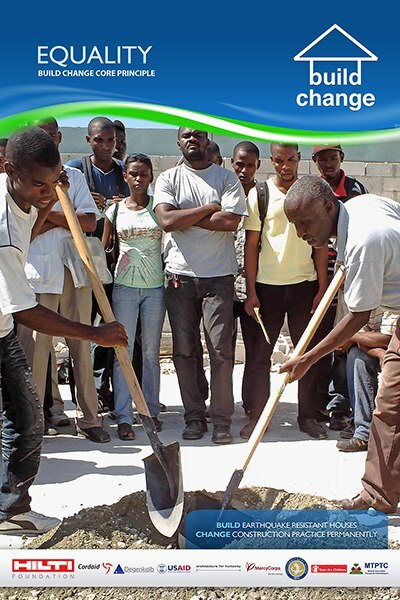 Leverage the knowledge and skills of the best engineers and architects in the world – both in the US and the developing world – to ensure that the very best designs and design thinking are applied to the reconstruction efforts while sticking to a carefully compiled list of criteria for local sustainability and acceptance. Kickstart the local economy by purchasing locally available materials and products. Build local capacity by hiring and working with local engineers, architects, builders, universities, and governments and training technical high school students. Work with local masons, carpenters and homeowners to incorporate disaster-resistant building techniques that are culturally accepted and easy to adopt with limited training and education. Learn and spread best practices from post-disaster housing reconstruction programs so that the many other agencies involved in these efforts build better houses and leave in place more sustainable local impacts. Our vision is that (1) all houses and schools built with inputs from Build Change in seismically active emerging nations are resistant to earthquakes and other natural disasters, and (2) building codes are enforced or construction practices are permanently changed so that houses and schools built in the absence of external funding and technical support are also earthquake-resistant. Earthquake-resistant construction will become common only if the right technology is locally available, widely known, and culturally accepted. Plus, the cost must be competitive with existing and commonly used (but vulnerable) building methods. Our theory of change involves overcoming three barriers to adoption common to so many development challenges: money, technology, people. Technology: the right building technology must be locally available, widely known, and cost-competitive. We emphasize small, low-cost changes to existing, culturally preferred technologies and train local professionals how to build safely with them. Money: If people do not have enough money to build a safe house, they won’t. 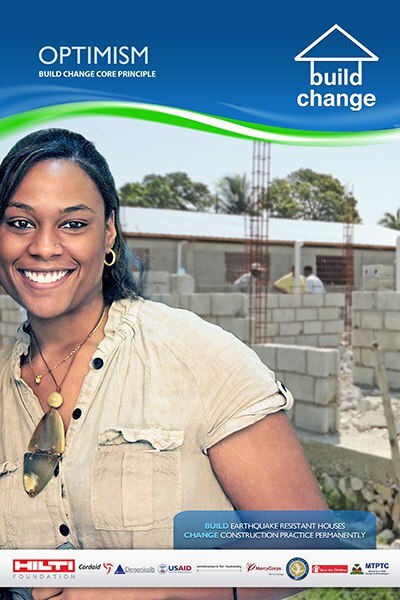 Build Change facilitates access to subsidies with strings attached and incentive-based housing microfinance. In Colombia, Build Change is partnering with the Bogota city government to use subsidies for housing improvements as incentives for strengthening buildings. 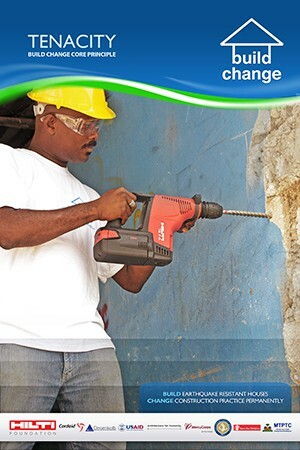 In Haiti, Build Change is partnering with Sogesol, the microfinance subsidiary of Sogebank, to provide loans for strengthening buildings. People: Someone has to want the house to be safe. 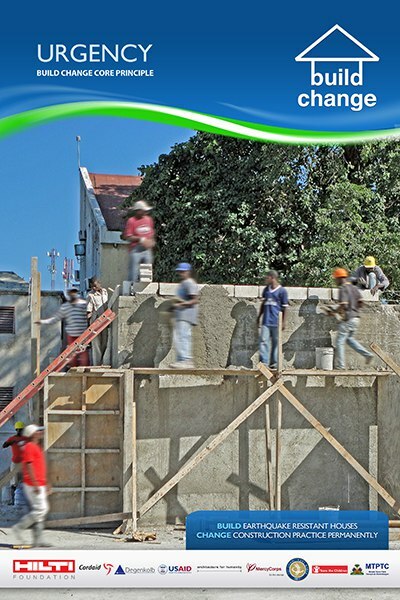 Build Change stimulates demand for safe housing by making it easy for homeowners, governments, and NGOs to understand and implement basics of safe building.